DISCIPLINE, SAFETY, RESPECT, RESPONSIBILITY AND CONFIDENCE is what children receive when training in the martial arts. Structure, Encouragement and Success. Success builds confidence. Building on current strengths, and train for future strengths. Better behavior helps them to stay on target. This course of training for children includes elements of Kung Fu San Soo as well as Krav Maga training. Each level of training follows a curriculum to reach the different levels of belt promotions. 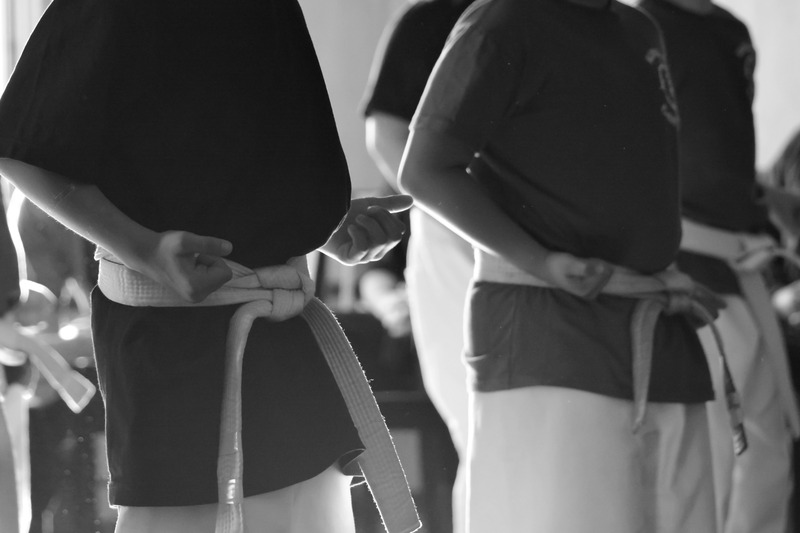 Each belt level will include test requirements that each student will train to achieve a solid foundation. Weeks Martial Arts has 3 top rules: 1- Safety, 2- Responsibility, 3- Respect. Students learn how to be safe by showing the responsibility to follow directions, and being respectful to instructors and other students. Through a structure of discipline of mind and body a student acquires confidence. We emphasize encouragement by building on each child’s strengths. This offers each child success in their growth and maturity. Give your child a positive sense of community through Weeks Martial Arts.